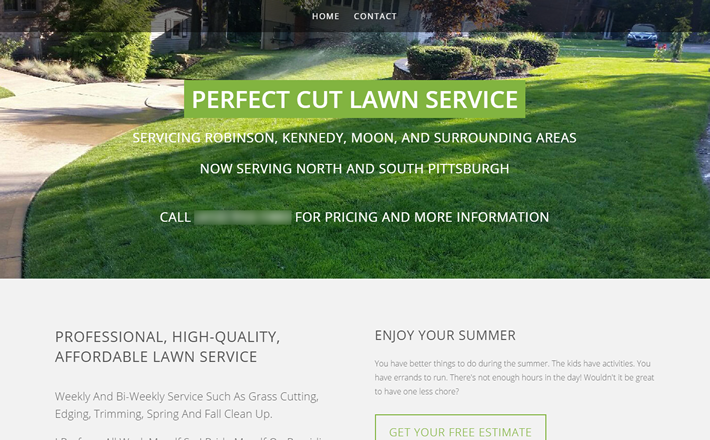 Rocco came to me to build a website for his new side business in lawn mowing and lawn maintenance. I helped him purchase the domain name and then we discussed similar lawn care and landscaping sites. He wanted something big, simple, and green so I selected several templates for him to review and we narrowed it down to the one you see here. We wrote the content together and I incorporated several of his pictures of past jobs into the site. The home page background image was cropped from one of his happy customers. The site is fast, simple, clean, and gets to the point – and that’s exactly what he wanted.